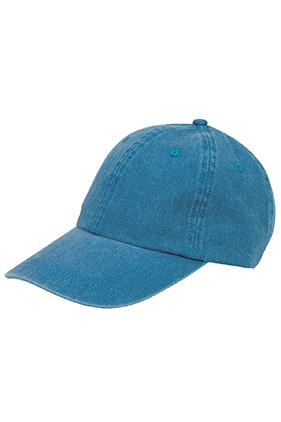 A classic style, pigment-dyed twill dad hat. 100% cotton. Unstructured, low-profile, six-panel. Pre-curved visor. Self-fabric strap with brass snap buckle closure and sewn grommet. Self-fabric sweatband and six sewn eyelets.